Noah’s not sure what’s the truth and what’s a lie. But as he learns who he is—and who Jason is to him—he’s forced to reevaluate everything he believes about himself, about loyalty... and about love. The plot is perfectly controlled in this story. As Noah first questions and then remembers more about himself and his relationship with Jason, the man whose cabin he is in, readers share Noah’s disjointed and confusing memories. I loved his conflict emotions as the Jason in the present doesn’t resemble the Jason in his erratic memories. And the moment he starts to question his own identity is truly chilling. Because this story starts with Noah’s amnesia, it is difficult to review this story without giving too much away. I have to say again that I loved it. 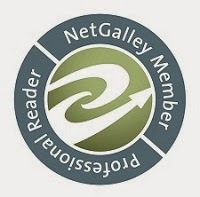 The characters are deliciously layered and complex – no one is as they first seem and truth has many shades of grey in this book. I don’t want to give anything away, but I do want to recommend this highly. The start is chilling, but there are moments of joy, of love, and wonderful moments of self-discovery. When I opened my copy to start reading and saw there was a part one and a part two, I was already off to a bad start. I don’t really enjoy that in a book, it just seems like two separate stories and by the end of part one, sometimes I really don’t want to go to part two because I wasn’t that impressed. I think another big point for me was I couldn’t connect with the characters at all, especially since it was in Noah’s point of view and I felt like I didn’t really know Jason at all. I put the book down several times because it just wasn’t holding my interest but I wanted to finish. The ending was nice, but this book just didn’t work for me, and since the next book is a F/F, I am not sure I will be reading more of the series. 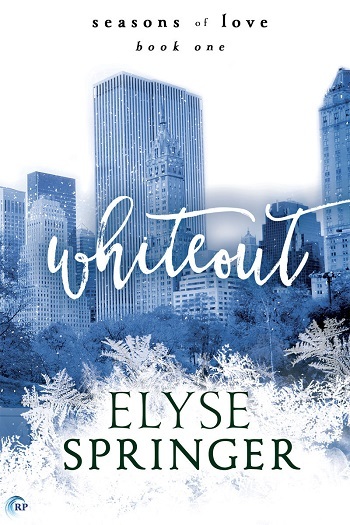 Reviewers on the Wicked Reads Review Team were provided a free copy of Whiteout (Seasons of Love #1) by Elyse Springer to read and review.